Model T Ford Forum: What is this gizmo? Model T Ford Forum: Forum 2014: What is this gizmo? This is on our '14 T. I hope the pictures are good enough to give a clue as to the purpose of this item. I don't have a clue. On the driver side of the firewall the top unscrews and seems to be a pump? Thanks for your help. Your pump seems lower. Is it an oil sight gage to the right of the pump? wonder if one side is a fuel tank pressure pump and the other side is a pressure release. The round black thing to the right of my questioned part is a pocket watch holder. Too hard now but a watch will fit there. About a fuel pressure pump----can the gas tank be pressurized since it has a vent? Regarding the thought that it's a primer pump---would that be used instead of the choke wire through the radiator? Thanks for your thoughts. 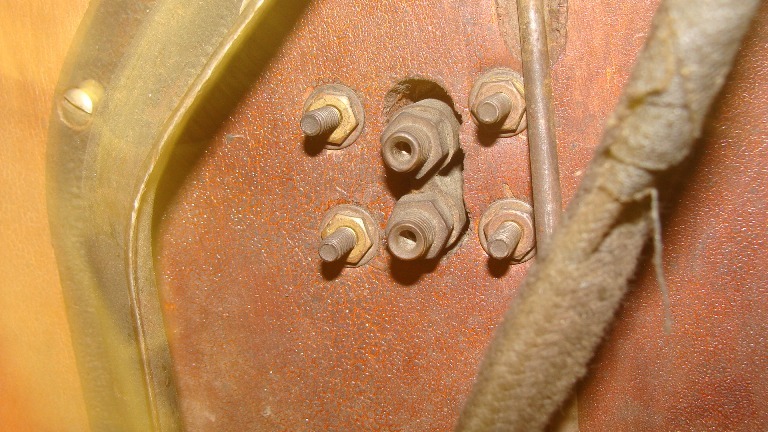 Some high end cars of the day had auto oilers whereas the oil was drawn from a reservoir and pumped by hand to the suspension system through small copper tubes. Maby the rest of the system has been taken out. I'm with Gustaf on this, I think that it is a fuel primer pump. This is probably a dumb question but I'll ask anyway---if you have to crank from the front of the car why wouldn't you prime by pulling the choke wire in front rather than priming from inside then getting out to crank? I've probably missed the point here. (This '14 doesn't have a starter) There are 2 threaded fittings on the side under the hood plus another threaded fitting on the driver side of the firewall. To be honest, I do not know why anyone would bother to put a primer pump on a T, but that sure looks similar to the one in my T-Craft. Regarding pressurizing the fuel tank; absolutely it can be done. My speedster had a rubber ring (washer) around the gas cap, with the vent sealed. Also, a copper tube had been soldered into the top of the tank through a hole. 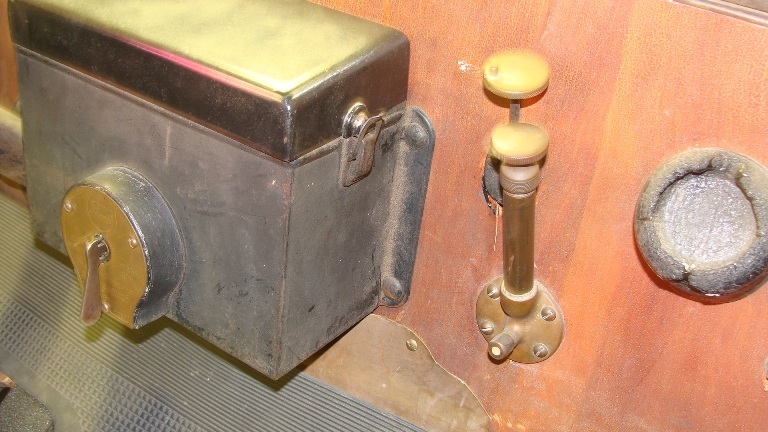 The tube was plumbed up to a hand pump mounted in the dash, with a pressure gauge in the line as well. I think Fast Frank has a similar set-up. Worked well. The under hood side: one to pressurize the fuel tank and one return to the pressure gage on the inside . So if the gizmo was to pressurize the gas tank would that be so it could climb a hill without losing the fuel flow? That's awfully small to use to pressurize the fuel tank. It's most likely a priming pump to dump some fuel into the intake manifold. Other cars of the era had factory equipped priming pumps. It's a Gazonkuss. It aids in the funcuation of the velocitator, which ultimately triggers better performance of the acceleratrix. It's all in your manual. All kidding aside, I totally agree with Erik's thoughts above. I wish I had one...but that's because I live on a hill.